On behalf of Lord Bruce, President of The Democracy Forum, and TDF Chair Barry Gardiner MP, this is to inform you that TDF is organising a seminar entitled:‘Economic & Political Power of the Military – its impact on democracy’. The event, to be chaired by Former BBC Beijing Bureau Chief, author & columnist Humphrey Hawksley, will take place at the St James’ Court Hotel on Monday 19th March (14:00 – 17:30). A panel of eminent speakers from the worlds of academia and journalism will gather to debate the impact on democracy of politically and economically powerful military institutions. With a focus mainly on Asia, the panellists will address questions such as whether democracy can ever be compatible with the power wielded by a dominant military elite, their motivations for seizing power, and the institutions through which they consolidate their rule. They will also consider effects on different power-holders when a politically potent military becomes engaged in the economy, and whether a free market economy can survive when the military exists as a competitor. Pakistan, where the political landscape, despite a return to civilian rule, is closely linked to the military, one of the country’s most powerful institutions whose generals enjoy huge control and vast wealth, even as the people endure economic hardship. Prof. Pervez Hoodbhoy, Zohra and ZZ Ahmed Foundation Distinguished Professor at Lahore’s Forman Christian College, will consider the army versus democracy in Pakistan, looking at the country’s long history of military influence, with the armed forces maintaining a firm grip on national politics and a major stake in the economic sector, even when they were not directly in control of the government. Journalist and author Myra MacDonald – author of Heights of Madness and Defeat is an Orphan; How Pakistan Lost the Great South Asian War – will draw on research from these books to compare the power of the military in both countries, arguing that Indian democracy, combined with diplomacy, has helped to underpin India’s success as a rising world power, while the dominance of the military in Pakistan has not only undermined democracy but threatened to turn it into a failing state. Myanmar, where Aung San Suu Kyi has little if any control over the country’s military forces. The University of Surrey’s Dr David Brenner will discuss militarised politics in Myanmar, elaborating on the political and economic sources of power underpinning the country’s military and how this interacts and inhibits the country’s transition towards secure and responsible democracy. Turkey, with its history of military coups and military leaders who are not beholden to their political counterparts. Military commentator Dr Hamid Hussain will discuss the situation following the failed 2016 coup, and its implications for the future of Turkish democracy. Egypt, a nation where, following the Arab Spring, the military has gained unprecedented influence and privilege, maintaining tight control over both the political and economic landscape. Adel Darwish, a Westminster-based British political journalist, will discuss the situation in Egypt. The Democracy Forum is a not-for-profit organisation, founded in 2009, whose aim is to work for the furtherance of democracy, peace and the rule of law in order to counter religious fundamentalism and terrorism, with special emphasis on a community-based approach. 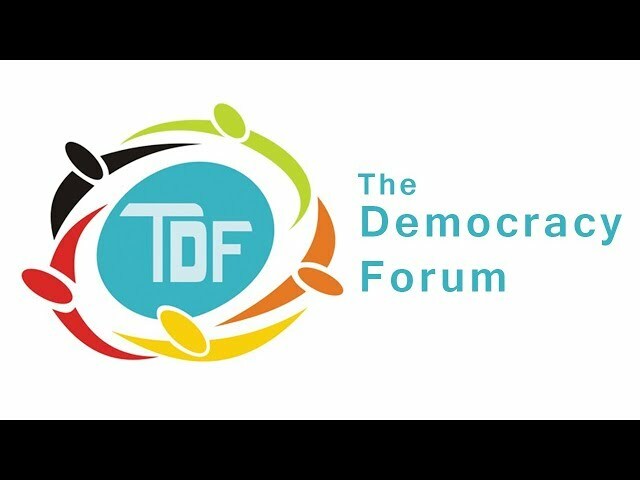 The Democracy Forum is a not-for-profit NGO which promotes ideals of democracy, pluralism and tolerance through public debate.